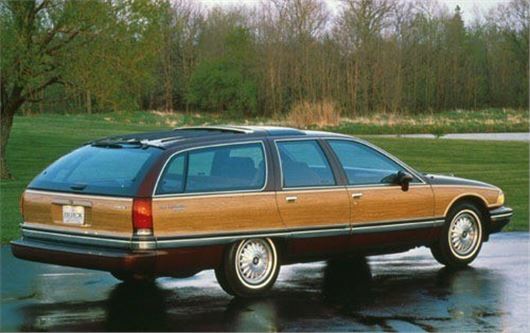 My husband and I have a 1994 Buick Roadmaster station wagon, with 5.7 L LT1 engine. The other day I went to go and get some dinner at night and when I went back to the car it wouldn't start I thought I ran out of gas. I got it to start and made it a little bit up the road. Got to the gas station put $10 in and still nothing. My husband came up checked all the fuses checked everything he could. Even a few jump-starts. We had come to the conclusion that was probably the fuel pump, so we replaced the fuel pump and fuel filter. Still nothing. Check the fuel pressure and it was low. Not real sure what they did about that. Can you think of anything else that we should check? The car had recently been killing batteries like crazy too. Also, I found out a day before it broke down like that my husband had done Donuts in Walmart's parking lot and supposedly a lot to wear because it smoked up the entire parking lot. Could he have done something then? Thank you so much for any and all help you can give me. I think your low fuel pressure problem will be the fuel tank sender pump or its earth, or the fuel tank sender pump relay or its earth. Probably got dislodged during the Walmart carpark donuts. I am looking to change my 2011 BMW 1-Series coupe diesel automatic diesel for a more practical small four-door SUV. I have a budget of about £14,000 and everything tells me to go for a post 2012 BMW X1 diesel, but the BMW extras limit the choice. It must be an automatic and ideally have a sat-nav system. I am retired and travel about 10,000 miles a year of leisure motoring and although the X1 diesel would seem an obvious choice I am concerned about the use of diesel cars in the future so would consider a petrol engine. What would be your recommendations and are there other makes that I should I consider that fit my requirements? I'd try to find a Mazda CX-3 2.0i 120 6-speed auto SEL-Nav. I'd like to think car designers aren't too arrogant to take notice of your column, but I'm not sure they are. Minor irritation, not dangerous, but why do they put LCD/LED digital displays where the 6,8 and 9 are for someone like me who has good eyesight but needs reading specs to distinguish these numbers where all they need to do is shorten the "arms and legs" on the 6 and 9? Secondly, re the letter in today's paper about the Jag that’s too wide for the owner’s garage. Multi-storey car parks and domestic garages are not elastic whereas every new model is always slightly wider than its predecessor. The new Polo is actually bigger than the first Golf, and if one has a two-door car, the doors are always longer so the angle through which one's foot has to negotiate is always tighter. I may be considered to be a boring old F. Sorry if you think so. I favour only digital speed displays anyway and think digital displays of old fashioned dials are ridiculous. But you are absolutely right about car widths. What are designers thinking about? A significant number of emails each week are about cars getting fatter and garages staying the same. I bought a VW T6 Transporter in October with delivery miles. The engine management light came on several times since then. On a previous visit to the dealer, the oxygen sensor for the catalytic converter was replaced. On my last visit, they reported that the DPF soot content was too high. They advised me to drive the vehicle once a fortnight at 4,000 rpm for 40 miles. The written advice they give out says between 1,800 and 3,000 rpm (which I have stuck to). Additionally, it was the engine management light that was triggered, not the DPF light. I rang VW customer service who said they cannot give technical advice and I should trust the dealer. Basically, when you start any diesel you need to drive it at about 2,000rpm to help it heat up and get the DPF to a state where it might be able to passively regenerate. If you stop within 10 miles more than a few times you're going to have to drive the vehicle further. Depending on how far the DPF is from the exhaust manifold it might passively regenerate after 40 miles or so at around 2,000rpm. Or it might actively regenerate, where post-injected diesel is used to start a fire in the DPF and burn off the soot. It is crucial that you do not switch off the engine when it is actively regenerating. If there is no indicated means of knowing, always open a door and sniff for heat. If it feels as if there is a fire under the vehicle, keep the engine running for another 10 minutes or the sump will start to fill up with post-injected diesel intended to fuel the active regen that was curtailed. I have really enjoyed my first dip into the SUV market having always been a coupe person. I have had my Mercedes GLC 250d for over two years and covered over 40,000 easy miles both in the UK and in Europe. It ticks so many boxes but has one annoying fault. On full steering lock you get what has been described as 'crabbing' where the front wheels seem to shudder as they turn. I understand that Mercedes aren't really acknowledging the fault although many others are complaining too. I need to replace the car this year and have started considering whether to get the same again or look at alternatives. On my list is the Jag F-Pace but what else would you suggest? You're being much more reasonable than the significant number of people who have complained about the crabbing issue on MB GLCs: /carbycar/mercedes-benz/glc-class-2015/?section=good/ For your next car, if you want to spend too much money, maybe an Audi Q5, which is difficult to fault: /road-tests/audi/audi-q5-20tdi-2018-road-test/ But I'd give the latest KIA Sorento a shot: /road-tests/kia/kia-sorento-22-crdi-gt-line-s-2018-road-test/ The new 8-speed auto is a vast improvement. It's good to drive and to ride in. In reply to my email castigating the foisting of SUVs on the driving public, you wrote: "Manufacturers produce what the public demands." Are you certain? I ask because I am not sure you are correct. With a ‘lead-in’ time for a new model of several years, dare I suggest the manufacturers more shape public demand than respond to it? I have similar experiences in supermarkets: a splendid product is withdrawn from sale (after too short a period of time on sale) because "there is no demand". It is for the vendor to "sell" the product by creating demand - surely? No, unfortunately you are wrong on this occasion. We had a 'round table' with Jürgen Stackmann, former CEO of SEAT (before Luca de Meo arrived). SEAT had enjoyed a revival from the great looking 3rd generation Leon launched in 2012. But Stackmann saw the future in SUVs (as do all VAG CEOs, and most European motor manufacturer CEOs). They represent at least 20% of the entire European car market and are a considerably bigger sector than 4-door saloons. That's why SEAT came up with the Ateca (which contains bits if the Tiguan and Karoq). Why SEAT came up with the Arona (VAG's first small SUV). And why SEAT is also talking about a bigger 7-seat SUV like the stretched Tiguan and Kodiaq. (Most of these are actually built by Skoda in the Czech Republic.) They are all at it. The Sportage is KIA's biggest seller. The Tucson is Hyundai's biggest seller. The Macan is Porsche's biggest seller - by a long way. (And Porsche's previous biggest seller was the Cayenne.) The Jaguar F-Pace is the best-selling Jaguar. (May soon be overtaken by the E-Pace.) It's what people want. Not what car manufacturers want to impose on them. Being a bit of a petrolhead I thought it straightforward to choose a nearly new MINI Countryman, which my wife liked the look of. However, on visiting our local MINI dealer we both became confused by the sheer number of similar models: Clubman, Paceman and 5-door hatch; plus the seemingly long list of extras that you need to specify (and pay for) to make the car user friendly as is BMW’s modus operandi. So, cutting to the chase, we like the larger elevated body of the Countryman with a powered tailgate; due to low annual mileage we need a petrol engine; and we want an automatic with a bit of ‘go’. Economy is not an issue. What would you recommend and which of the ‘extras’ do you think to place on our bucket list? MINI is switching from torque converter autos to 7-speed DCTs and since these have been so much trouble in VAG cars and small Fords I have to reserve judgement. I tested a Countryman PHEV and despite the interior space, I can’t come to terms with its looks. You will need satnav, though, and the smallest wheels with the deepest profile tyres that they will let you have because the recent snow and ice had left British roads in a terrible state. Thank you. This echoes correspondence with another reader who needed to renew his pilot’s licence. I have been refusing to help anyone brighten their headlights for 10 years now. Happily any modification to headlights will be an MoT fail as from 20th May. Both the dealerships I have taken my 2017 Jaguar XE to tell me they can't update the Sat Nav because 'Jaguar won't let them'. After 28 minutes on the 'phone to Jaguar Customer Services the answer seems to be, they can't be bothered, you are supposed to do it yourself and here's the E-mail address. Fine, so that gets you quickly to downloading 'incontrol touch maps updater' and then it asks if I want to allow this program to make changes to my computer? How do I know? If it's not what it's supposed to be I could lose not only the Sat Nav but the computer to a 'virus' or whatever. I'm just an old-fashioned gent who expects my car to be (expensively) serviced at the appointed intervals and this to include all aspects, including the Sat Nav, (which was out of date when I bought the car and has become increasingly so over the last year.) How can I get the thing updated without risk and anxiety - and why won't Jaguar do it for me, what are they afraid of? I’ve now re-read this while compiling emails for the columns. What it means by “make changes to your computer” is update the satnav hardware in your car, which is itself a “computer”. No different from accepting an O/S update for your Mac or iPhone. I have a friend who drives a manual Ford B-Max, but wants a smaller petrol automatic. I know small engine autos aren’t very good for various reasons. Ideally, I suppose she needs something with a torque converter gearbox. Does the Ford Fiesta come with one? Sadly, all cars these days seem to have grown and are all rather wide. According to the press pack, Ford has abandoned the Powershift for the Fiesta, so the latest Fieasta autos are 6-speed torque converter. Others are the Mazda 2, Suzuki Swift, Suzuki Baleno, Citroen C3, Peugeot 208, Citroen C3 Aircross, Peugeot 2008. The KIA Picanto and Hyundai i10 can be ordered with 4-speed torque converter autos. We have had a Micra DIG-S Tekna for nearly three years and it's time to change. My wife doesn't like the new Micra but has taken a yen to the Juke - especially the Tekna or Tekna pulse version. I have seen unregistered 1.2 engined versions. What do you think? Bad. Like the Qashqai, the Juke created an entirely new section of the market, but has now had its day and been overtaken by a lot of similarly sized but much better small SUVs: SEAT Arona, KIA Stonic, Hyundai Kalos, Citroen C3 Aircross, Peugeot 2008, Honda HR-V.
As I live in a hilly area I am looking at purchasing a Subaru Forester to deal with the winter weather and sometimes wet fields in the summer. My local dealer tells me that Subaru no longer makes diesel cars and what are left are being sold at reduced prices. I am looking at a 2017 2.0XC Lineartronic Premium which is the dealer demo with 1,800 miles on it. The other vehicle is a new 2.0XC non-premium. Both have CVT gearboxes. The only things missing from the non-premium vehicle is full leather, sat nav and power front seats. The Premium is being offered at £27,995 and the other is at £28,144, with an extra £1,000 off the non-premium if I part-ex my 2017 Skoda Octavia 1.4TSI with 4,995 miles. The offer for that is, I think, a bit miserly at £13,000. There are very few Forester diesels left. The saving on the Premium model is just over £4,000, and less on the new one. I would value your opinion. Why not just put a set of Michelin Cross Climate tyres on your Octavia? That will make it more effective in snow than a 4WD on standard tyres. And it will save you a colossal amount of money. I have a Yeti Outdoor SE Drive 1.2 DSG, first registered 13/7/17. Chassis No.TMBKF75LOH6058248. I am concerned about reports of problems with the DSG and wonder if these will apply to my Yeti? If so what would you suggest as a replacement. I am over 6ft tall with two dodgy knees so a high seating position is important. I don’t want anything much larger than the Yeti which really suits me fine. Yes, your Yeti will have the DQ200 7-speed dry clutch DSG that could develop problems. Obviously they all don't, but the transmission has the highest number of reported failures we have ever seen for any automatic transmission. It helps not to sit on the brakes while in D. And, if you are a left foot braker, not to brake while pressing the accelerator. The system is supposed to release drive when you brake to a stop, but VAG's brake light switches that control the function have often proved faulty. Sorry HJ, you're wrong in your response to GL about the Jaguar Sat Nav updater. What has happened is that GL has downloaded an application that must be installed on his computer to then download the maps (and possibly Sat Nav system updates). When installing an application on a computer, it has make changes to ensure it works properly and it is asking whether he is happy for it to make those changes. As a general rule, if he is confident that the application has been downloaded from a reliable source (in this case presumably Jaguar's website), it will be okay to allow the changes and install the application. As long as the computer has anti-virus software installed, it's unlikely to cause a problem. If he is unhappy about this, I suggest asking the dealer to go through the download and installation process with him. I presume the application will then help him download the new maps and update the Sat Nav in the car. Not a particulalrly helpful response re the Forester either. Which one to go for depends entirely on whether the purchaser wants the extras fitted to the premium. I have the non premium version and it is more than adequate. I don't miss leather seats, the drivers seat is powered, front seats are heated and I have a Garmin satnav, plus smartphone GPS. If he wants to save money he could buy a 2-3 year old model, which will have the same specification as the newer ones, but still have plenty of warranty left. I am sure even HJ will agree the chances of needing the warranty on a Subaru are low. Re your reply about the Countryman auto gearbox "MINI is switching from torque converter autos to 7-speed DCTs and since these have been so much trouble in VAG cars and small Fords I have to reserve judgement." As I understand it the 2018 Countrymans still have the 8 speed gearbox fitted and for the Cooper S / JCW models will have these for the foreseeable future. Having just purchased the JCW version, I can say that the gearbox is very smooth in use.